There is endless destination when it comes to holiday in Bali. One of the most favorite part of the island of Gods is Canggu. This is where you can do many fun activities and visit interesting places full of artistic and culture value. Spending your holiday in Bali allows you to have peaceful vacation. This place is less crowded unlike Kuta or Ubud. Therefore, you can release your stress by staying at Canggu for your long holiday. Even if you are budget traveler, Canggu is perfect travel destination to venture to. You can visit stunning traditional villages, modern cafes, well-designed villas, rice paddies, ancient temples, and many more. Holiday in Bali means you need to make the most of it. Your time is limited but the attractions are endless. Thus, you need to wise in deciding your destinations to venture around Canggu. Visiting main beaches is a must when you are in Canggu. There are beautiful and exotic beaches you can hit up. In Canggu beaches, you can do many fun watersports such as snorkeling or scuba diving. There are many hot spots for surfers as well. As for beginners, there are still suitable spot to try. If you want to have lazy days around beaches, you can just soak in the sun while enjoying the view of the ocean. 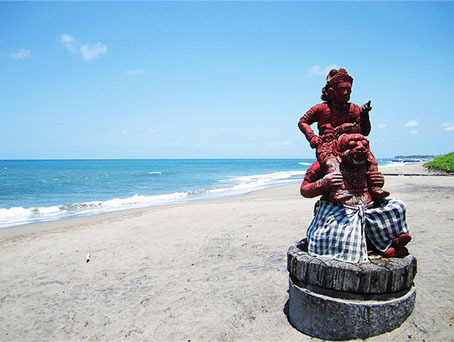 Beaches around Canggu include Berawa and Batu Bolong. Indulge your stomach by visiting fine restaurant beachfront. Or, you can also enjoy your favorite snacks and coffee in one of popular cafes in Canggu. There are many chill cafes you can visit while enjoying stunning view of Bali. Canggu is popular place for surfers. Thus, you cannot skip it while you are in Canggu. Surfing equipment are available for you to rent so you don’t have to bring your own equipment from home. The waves in Canggu beaches are relatively intense, just perfect for relaxed surfing. Both advanced surfers and beginners can enjoy the waves here. With its relaxed vibe, Canggu is perfect for yoga and meditation. There are many popular yoga spots you can try. This relaxing activity is best to get rid of your stress. Or, you can also relax in beach clubs. There are many of them in Canggu such as Finn’s Beach Club offering great entertainment and stunning view over the beach. Shopping is a must activity when it comes to holiday in Bali. Two main market you should visit are Love Anchor Market and Samadi Sunday Market. The first market is located in the heart of Canggu. Things you can buy include clothes, organic soap, jewelry, foods, healthy snacks, etc. the second market is located at Samadi Studio. There are handmade jewelries and organic foods you can buy from this market.